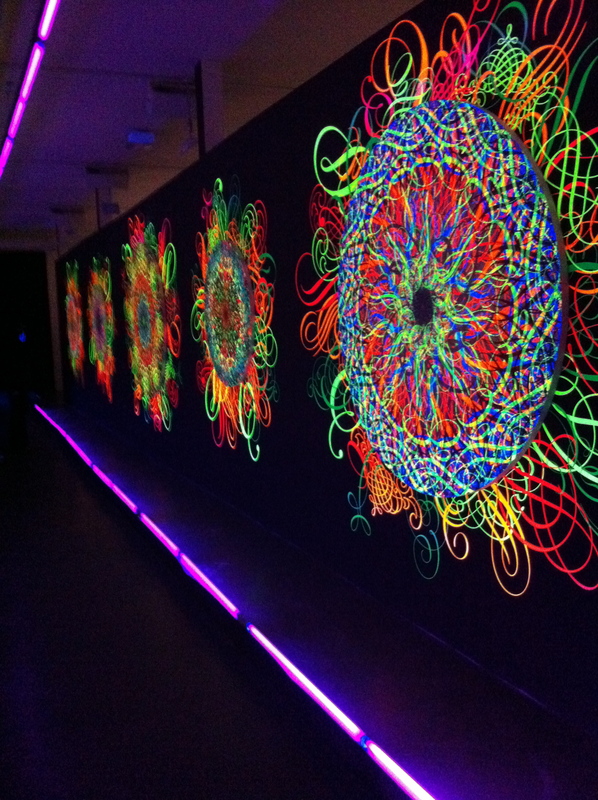 Last night, I went to celebrate artist Ryan McGinness’ latest installation, at Philips de Pury in Manhattan. 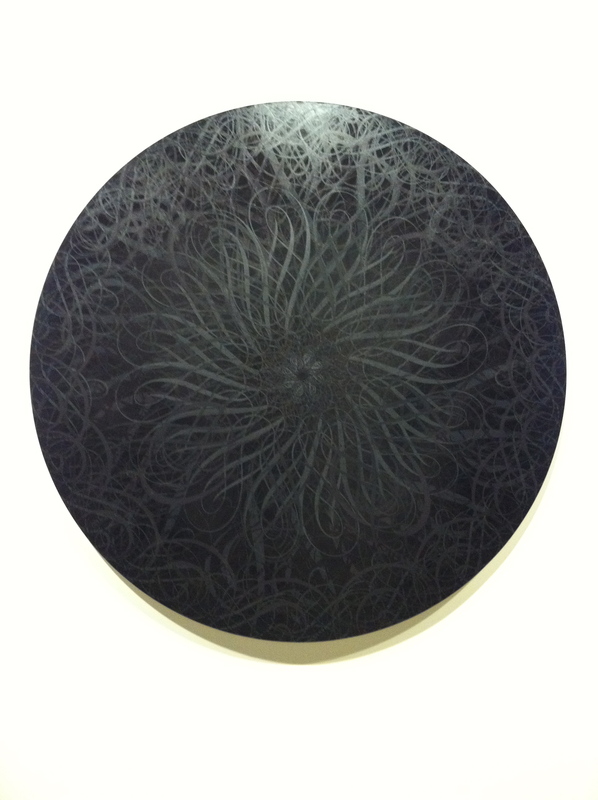 Black Holes is an exhibition of work McGinness created from 2004-2010. The large round canvases are deceptive. 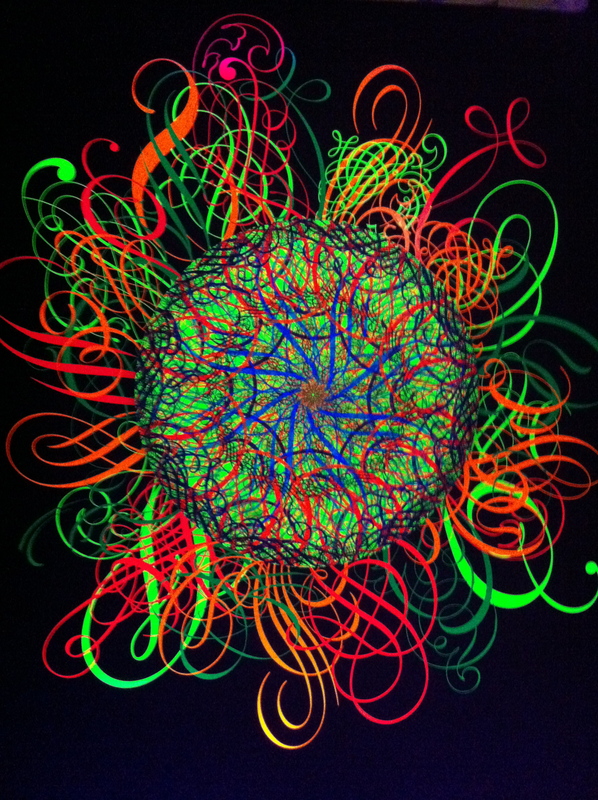 On first glance they look like fairly simple spirograph-style images. But stand in front of them for any length of time, and get drawn in inexorably by the delicate, hypnotic shapes. Black holes, indeed. For this exhibition, McGinness added a neon flourish, adding delicate wisps of vinyl around some of the canvases and lighting them with fluorescent light. One long stretch of these can be seen from the High Line walkway, sure to confuse and delight late-night tourists. Somehow the effect transcends the usual gaudiness of neon and is bewitching, poignant, and glorious. As are the newest, black-on-black canvases, which are subtle but somehow defiantly perfect. Gorgeous.